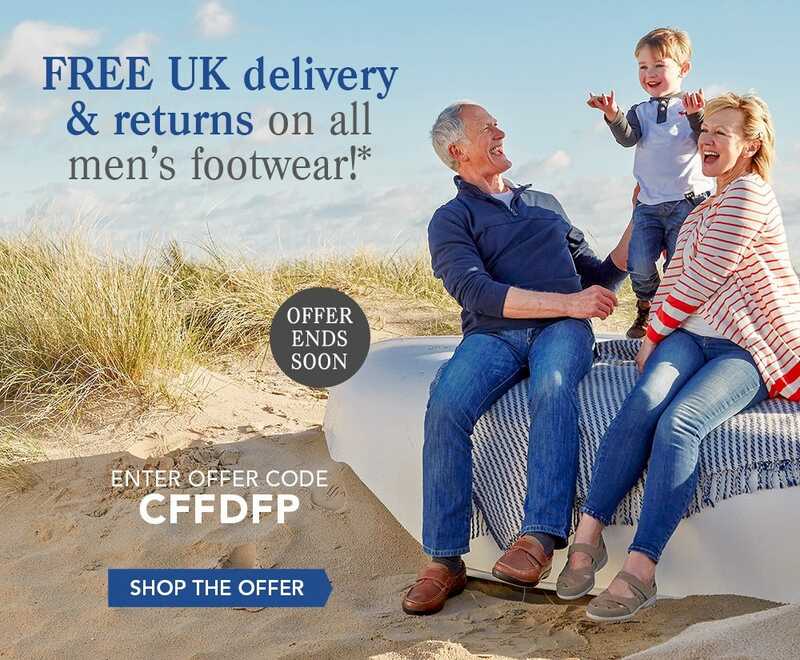 To redeem our free delivery offer (UK standard) on men’s footwear, simply add any men’s footwear to the basket and enter the code CFFDFP when prompted. This offer expires at 11.59pm on Monday 11th June 2018. This offer only applies to men's footwear. Click here to view our men's footwear collection. Cannot be used in conjunction with any other offer. Offer available on in-stock items only and/or if all items are in stock. We reserve the right to withdraw this offer at any time. If you are not 100% satisfied with a product, for any reason, at any time, you can return it to us for free (within the UK) for an immediate exchange or refund of the cost of the product. Click here to find out more.